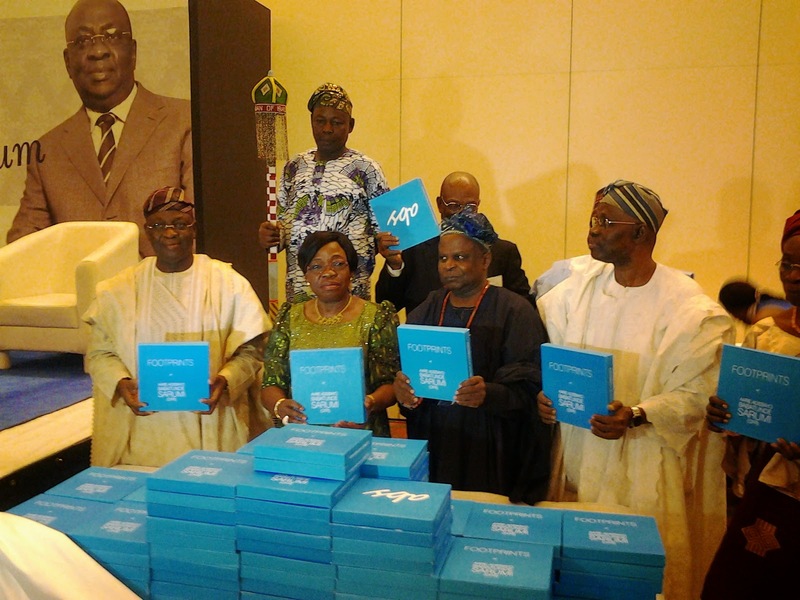 :: OnePageAfrica ::: Book Launch: Footprints of Aare Adebayo Sarumi' celebrating a maritime icon at 70! The book, an anthology written by former colleagues, friends and associates of the Nigerian Ports Authority and the Nigerian Shippers’ Council, reveals Chief Sarumi’s person and character through people who had close interactions with him. It also highlights the evolution of his career and his remarkable feat in executing the reforms in the Nigerian port. The book captures a collection of interviews, newspaper articles and photographs spanning through time, from his days of active service to the period of retirement. ‘Footprints of Aare Adebayo Babatunde Sarumi’ can pass for a book of inspiration to those who want to leave enduring legacies through dedication to a worthy cause.